Enjoying the benefits of excellent oral health is easier with preventive dental care. Along with routine home oral hygiene, regular checkups and cleanings are vital to prevent dental problems. Dr. David Kurtzman and our team want to help all our patients achieve their best smiles and we recommend cleanings and checkups at least twice a year for stellar oral health. Even if you are meticulous in your home oral care routine, professional cleanings are necessary for the best level of oral health. Brushing and flossing can remove most plaque and bacteria that can cause decay or gum disease, but not all. Professional cleanings at least twice a year remove any plaque or tartar that may have built up in the crevices around your teeth. This can help prevent gum disease and other oral health issues. There is nothing that feels better than freshly cleaned and polished teeth. The second part of your routine preventive care is your checkups. This includes the periodontal exam the hygienist will perform to check the health of your gums and your comprehensive exam with Dr. Kurtzman. During your exam, Dr. Kurtzman will physically examine your teeth and review your x-rays. He will check for any signs of decay, damage or infection and offer treatment solutions. During your exam, feel free to ask any questions you may have regarding treatments he suggests or about elective procedures we offer that you have been considering, like cosmetic or restorative dentistry. Another service we offer as part of our preventive care is oral cancer screenings. Dr. Kurtzman can examine the soft tissues of your mouth to look for any changes that could be the early signs of oral cancer. Make sure to discuss this option when you come in for your next checkup and cleaning. 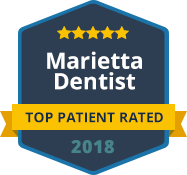 Contact our office today to schedule your next visit to our office in Marietta.